We aim to make this service cost neutral to our clients who are contributing still useful items on an ongoing basis, subject to minimum quantity and quality. We achieve this through our self sustaining model by selling some of it at low costs to small businesses and distributing the rest at no cost to participating charity partners via our donation platform whilst also delivering our tech pop up classes, training of disadvantaged people to become IT consultants and other valuable and impactful services. Firms participating on an ongoing basis, normally agree with us a minimum annual criteria or minimum percentage of their annual no longer needed but still useful equipment to participate in our rehoming platform. These partners will receive proportionate marketing support for their Environmental Social Governance (ESG) efforts. Additional consultancy and reports may be chargeable. For one off participation we charge a set fee to cover the costs, reports and some limited publicity tools. All additional services would be chargeable. Please contact your project manager for a quote. 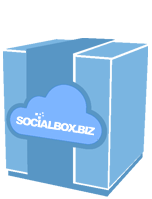 With SocialBox.biz every company benefits from positive societal impact. Please contact us to arrange a collection or to receive your social impact box and start generating positive Social Impact. As a community interest initiative our focus is on making a lasting impact on society whilst solving Environmental Social Governance (ESG) problems for our business clients. If you require data removal this can be arranged onsite site and offsite and with SocialBox.biz you can be reassured that your data will be secure from retrieval. For clients requiring data removal all data from equipment will be removed using tools that meet required standards and certificates can be provided. If you need an inventory of your equipment, SocialBox.biz can assist in counting, labelling, bar-coding and recording all equipment. If you would like for us to arrange redeployment within your businesses we can project manage this for our clients in partnership with our authorised service level partner. Whilst we work on diverting items from recycling and landfill where possible for re-distribution and reuse within the local UK community to boost our clients Environmental Social Governance (ESG) efforts if you require recycling instead we provide boxes clearly labelled recycling on them. Items placed into these boxes for recycling and not suitable for donating and creating social impact will be dealt with by an authorised specialist.